I have noticed a enormous JUMP in hits to my blog since I started mentioning this game. To the person who just left me an anonymous comment begging (very serious begging) for help, I’d love to help you. However, I refuse to spoil the fun of the game by posting the answers here. And if I could email you, I would. But it doesn’t seem to leave email addresses for Anonymous comments. No 7, the question mark one… Um… I have NO idea which one this is, let me go refresh my memory. Ok… that’s actually one of those d’oh, smack your head with your hand moments. No 7. It had me stumped for a while. Try googling the EXACT question. In quotes. The VERY FIRST answer will be the right one. (btw, this is a one off…. 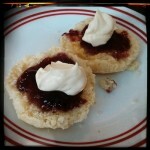 this isn’t a qwyzzle blog, i’m just taking pity on you). You’re on your own from here on in. 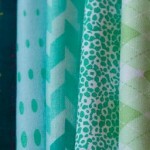 Seabreeze Mini QAL starts today!